In the world emerging technology, it’s a challenge to stay on the cutting edge with the pace at which new hardware is released. 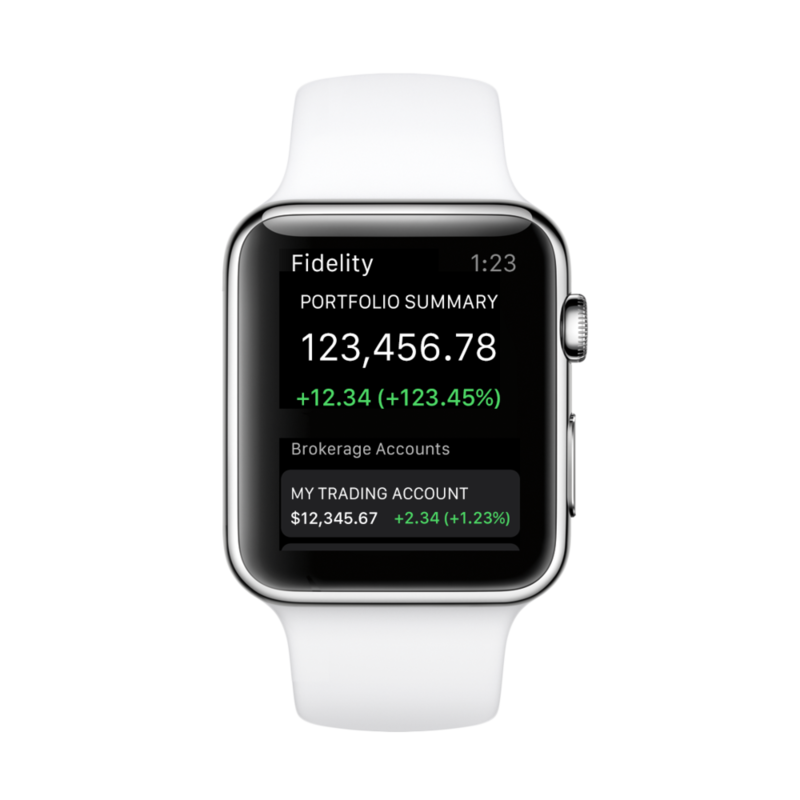 It is for this reason that it only took a whisper of a new watch from Apple to spur us into concepting on what Fidelity could offer on the wrist of an investor. At the time, there was not a lot of information released about this watch or what sort of things would be open to the third parties like Fidelity, but that did not stop us from dreaming up possibilities for our users. This was the blue sky part of the project that allowed us to really have some fun. 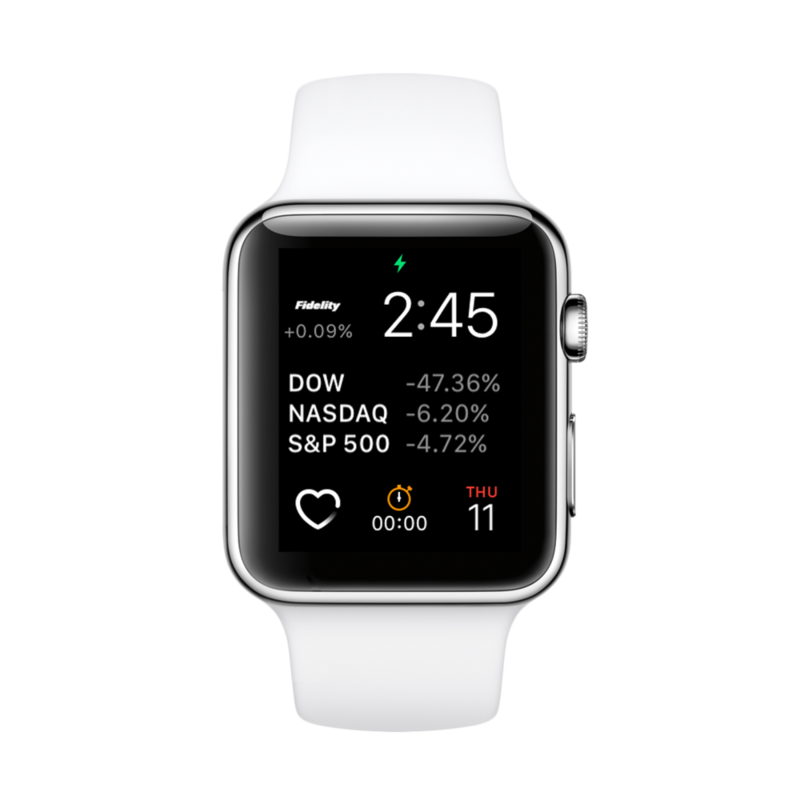 Myself and fellow designer Damon Jones teamed up and put together concepts for what investing could look like on an apple watch face. The goal was to offer up “at-a-glance” information to our users, that would allow them to keep a pulse on the markets. It was a passive experience that we were visioning. I did an in depth exploration of anything and everything that has been done on a watch face, below is a collection of the favorites. This proved to be very helpful in opening up the possibilities for what we could draw up. Physical structures we just as helpful as digital. I drew up multiple concepts with an aim of communicating the health of the market to the user at any point in time throughout the day. Data points like time of day, up ticks or down ticks, size or strength of market movement, and the markets themselves all came into play. I landed on a concept that married the watch face with a lava lamp. With every tick of the market, bubbles would emerge from the center to communicate the health of the market in a playful, and responsive way. The lava would also respond to the movement of the user’s wrist creating a lively and informative watch face. The concept did not go into production but certainly fed into the style and personality that we developed as we built the actual watch app. The exercise served as a great opportunity to think big and stay loose creatively. Instead of a watch face, what released was a companion app to the iphone app. The experience offered a pulse on domestic and international markets as well as a list of your recent quotes. My contributions came at a later release when we added access to account balances in the app, and multiple versions of complications which would appear on the watch face as a pulse on the user’s portfolio/activity, and act as a shortcut into the app.